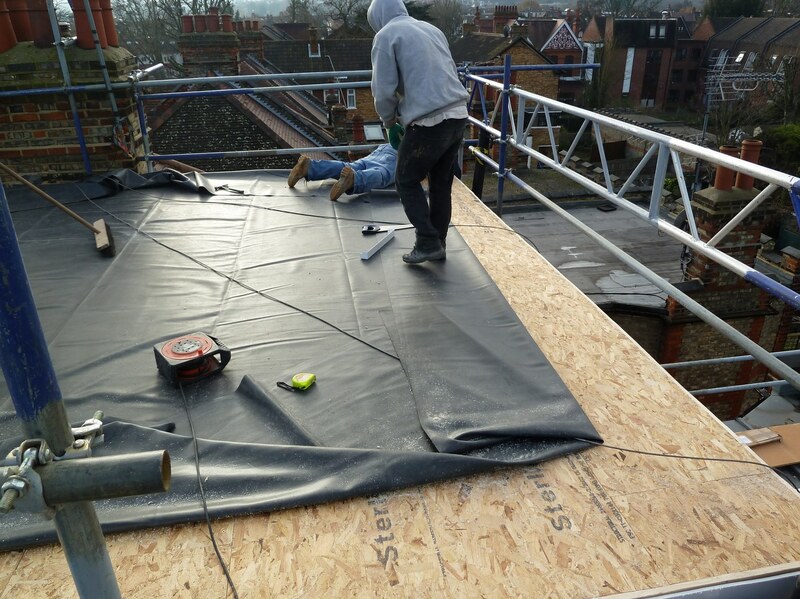 Around five years ago we laid this flat roof using EPDM rubber over tapered insulation, the job was quite complicated as we had to adjust the falls to the original flat roof so all the water would run to the back of the roof. 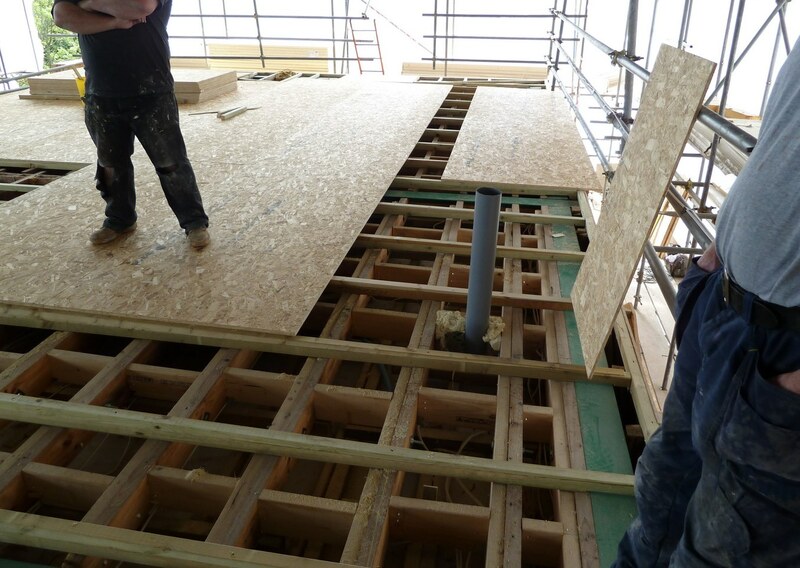 The roof insulation was laid at the front of the roof to a depth of around 350mm, pushing the water to the back of the roof . I also show you in this video some of the characteristics of EPDM rubber. EPDM rubber is flexible and when laid over soft insulation the completed roof is soft to walk on. Customers sometimes comment on this as if it’s a problem, however it’s not! That’s how it’s designed to be. 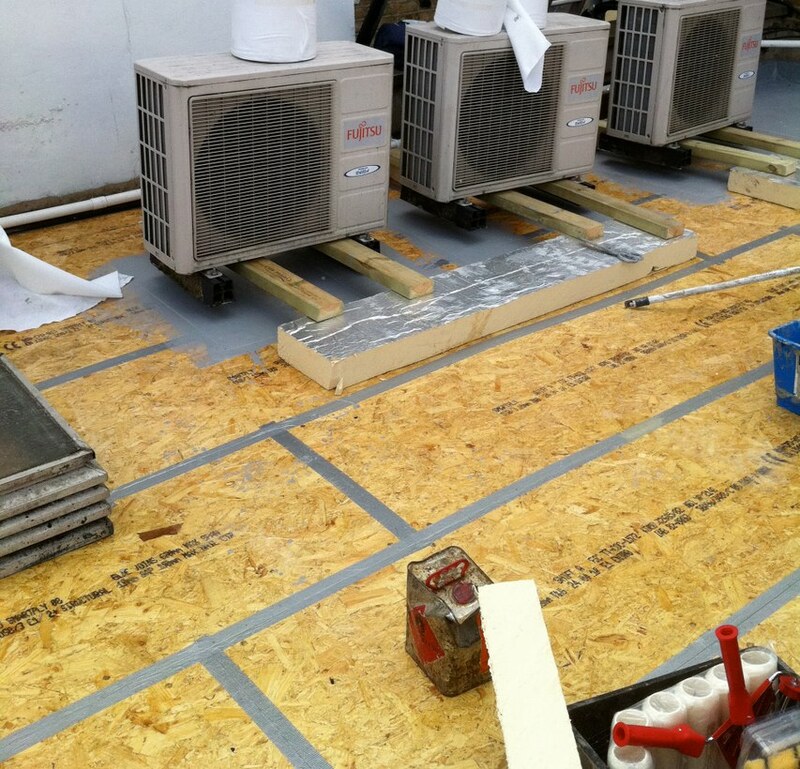 The complete system is lightweight and designed to go over the top of other roof coverings such as felt and asphalt. 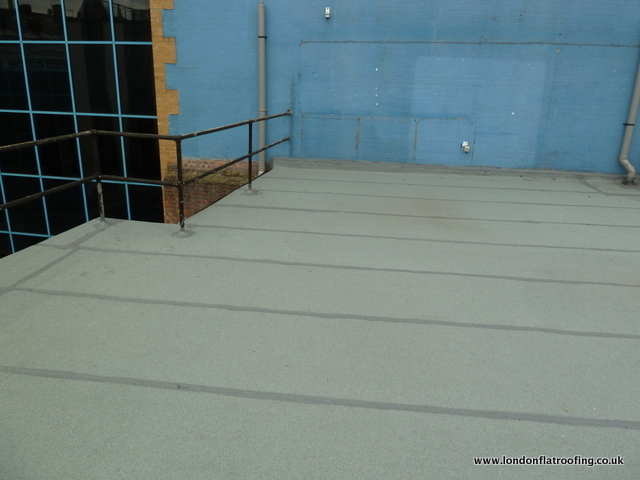 EPDM rubber roof W13 West Ealing, a photo by EPDM Rubber Flat Roofing on Flickr. 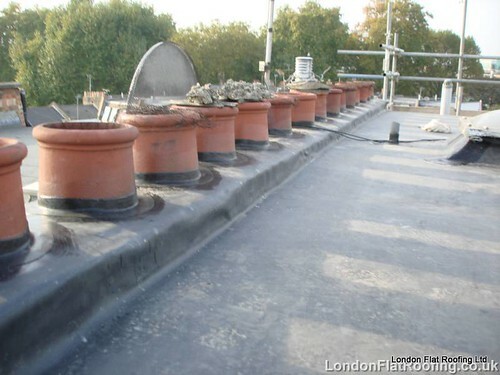 EPDM rubber dressed over the top of new insulation to Part L of the building regulations, the EPDM rubber looks good dressed up over these parapet wall and around the chimney pots. Realistically old mineral felt roofs have to be a thing of the past now. There are lots of new flat roofing materials on the market, such as EPDM and the new 3M SD650, same day roof system. You can see on this photo that the owner of the property has been trying to fix this old flat roof by applying some sort of liquid sealer to the joints of the felt. New flat roofing materials dont have joints, EPDM comes in large sheets and the new liquid applied flat roofing materials don’t have any joints at all. 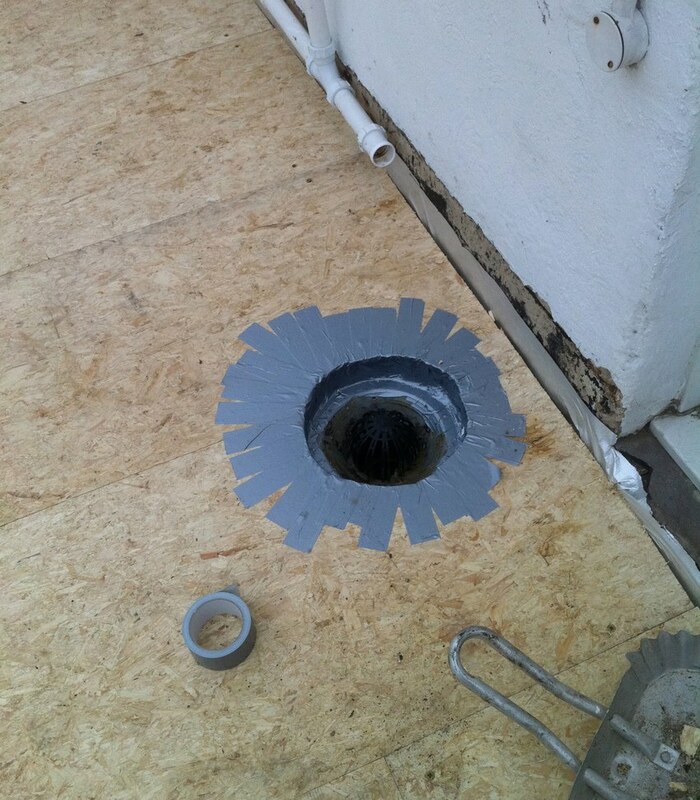 Making the flashings out of the new flat roof materials is also easy. 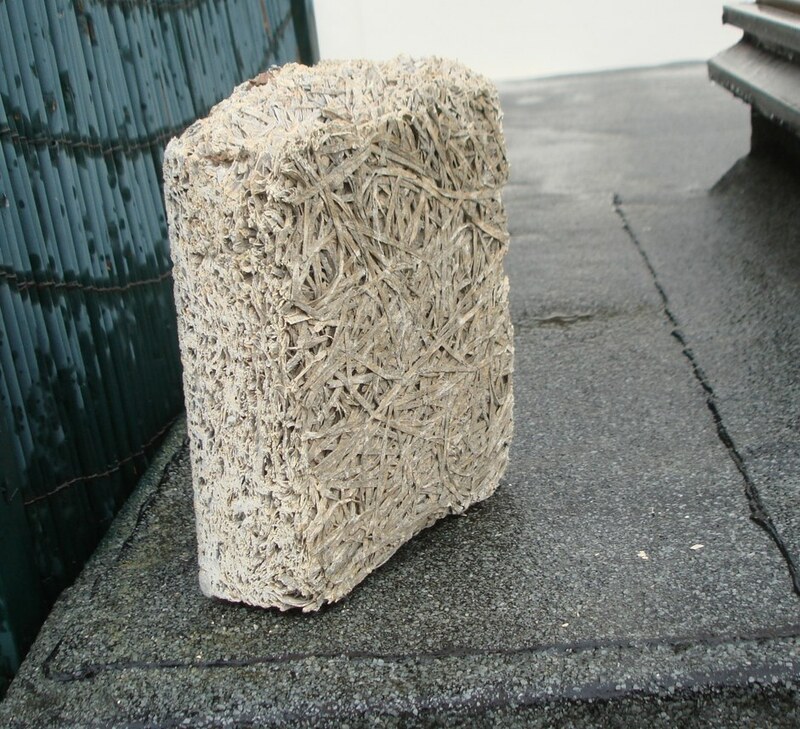 Unlike the old flat roofing materials, the new materials are alway flexible and the flashings can easily be formed from the same materials and fixed to any wall. 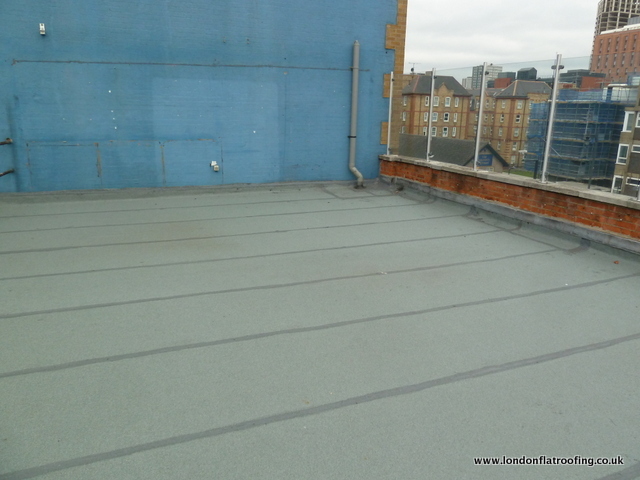 If you need more information about flat roofing please don’t hesitate to contact me at London Flat Roofing. 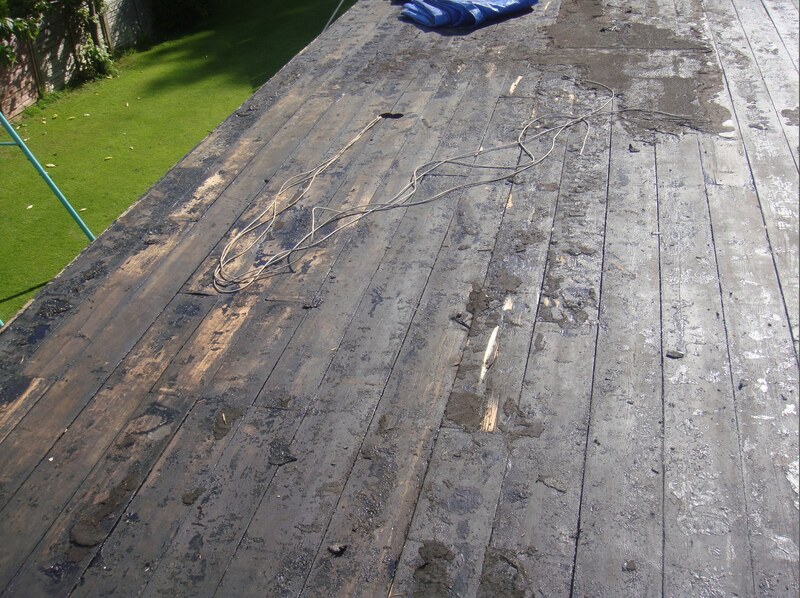 Flat roof decking in old roofs used to be like floor bards and was called a close boarded roof deck. Along came chipboard and in the 70,s flat roofs were laid using this, not very good as when the roofs leaked the chipboard got soggy and the roof collapsed. into sheets it offered strength and insulation all in one. Realistically nothing wrong with it, I still come across flat roofs with it in and providing its been installed with plenty of support it’s still performers ok as a roof decking. The problem is that the roofer wold bond the old felt to it and when we remove the old felt we rip it to places .We replaced some garage roofs at Hampton Court Palace around two years ago, the old roof decking we removed was stramit board and this video shows us removing the old decking, note we replaced the roof using EPDM rubber. This ply has recently come down in price and also in quality I have seen some of this plywood laminate with the smallest amount of damp getting to it! 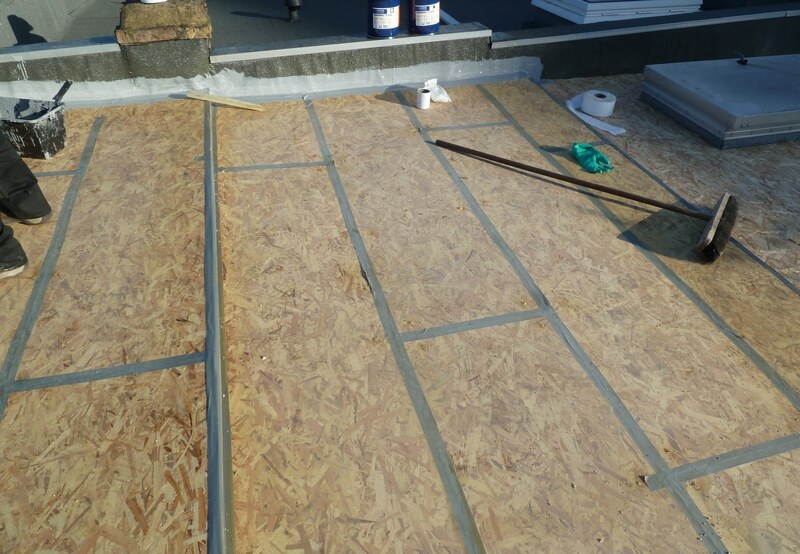 OSB has now hit the market and is being specified by most architects roofing materials suppliers as the substrate to use when replacing the decking to a new flat roof or doing a retrofit flat roof. Personally we like it we tend to go for the more expensive T+G sheets as these are easer to lay and support the roof better when butting the bards together .